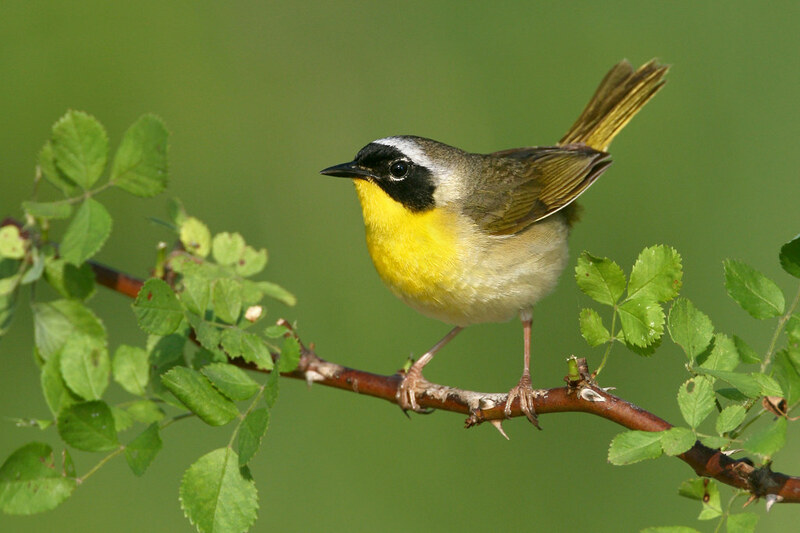 The yellowthroat's song "Witchity witchity witchity wit", is a loved song around meadows and wet areas throughout much of North America. Here it is perched on one of their favorite plants in which to nest - the multiflora rose. While this rose species is non-native and invasive (and quickly crowds out native plants), it is ideal for a few bird species.